And welcome to my newsletter for July, 2012! Please feel free to forward this to anyone you think would be interested in keeping up with me! To receive these newsletters regularly, please drop me an email or subscribe online from my website (http://www.JefMurray.com ) or at: http://groups.google.com/group/Mystical_Realms . Notices of events and items of interest are at the bottom of this email. I have posted three new painting images on my website. These include “Out of Imladris”, “The Escape”, and “On Woodland Trails”. These are located in two different places; the first and last are in the within the Tolkien gallery (“The Third Age – The Hobit” section), and the middle one is in the “Once upon a time” gallery (in the “Paintings inspired by C.S. Lewis” section). However, you can see all three by going to http://www.JefMurray.com and clicking on the “Newest Works” icon (the dragon!) at the top of the page. The young woman studied the contents of the glass bottle. Within was a single jade-green pill, perfectly round. The proprietor of the shop just smiled. Jill looked up from the bottle. The apothecary was tiny. It was not the antiseptic white of most drug stores, and Jill was unsure whether the owner ever filled standard medical prescriptions; she had never brought one in herself, and had never seen anyone else have one filled in the shop. Late afternoon light flooded through the single storefront window, fracturing into every hue as it reflected and refracted through hundreds of glass bottles. These were of every size and shape, some ornate, some simple; some were clear, and others were brown, cobalt, and ruby-tinted. Each was filled with a swirling liquid, a cacophony of capsules, or tablets of every texture and tint. Jill had stumbled upon the shop one foggy morning in autumn of the previous year. She had not been sleeping, and, trudging toward the university and the classes she was scheduled to teach that morning, she was startled by the sign, newly painted, that emerged from the mist. Acting on impulse, she stepped inside. What greeted her eyes and ears was much more than she had anticipated. Aside from the myriad bottles that lined the walls, there were small pots of herbs growing under lamps, fragrant wooden cabinets lined with scores of brass-fitted drawers, and glass cases laden with bowls, minerals, dried herbs, and even roughly-cut gemstones. The apothecary air was richly perfumed, but the longer she lingered in the doorway, the harder it became for her to identify the scents that swept around her. Were they sweet? Yes, perhaps. Musky? Certainly. Was that vanilla she detected? Or sandalwood? Or cinnamon? The aromas made her think of all of these, but there was something else it reminded her of entirely that she could not quite place. She then remembered having had a girlfriend introduce her to single malt Scotch whisky. She had never liked distilled liquor, but Andrea had insisted. On the fated evening, the two of them had sampled dozens of tiny bottles over the course of several hours, never taking more than the tiniest sip from each one. In the end, mildly intoxicated, Jill had conceded; she had had no idea how much she had underestimated the bewildering variety of flavors and aromas that could be found in this seemingly simple spirit. And so it was with this shop. The proprietor heard the bell as Jill entered, and he soon appeared from behind a curtain in the back. 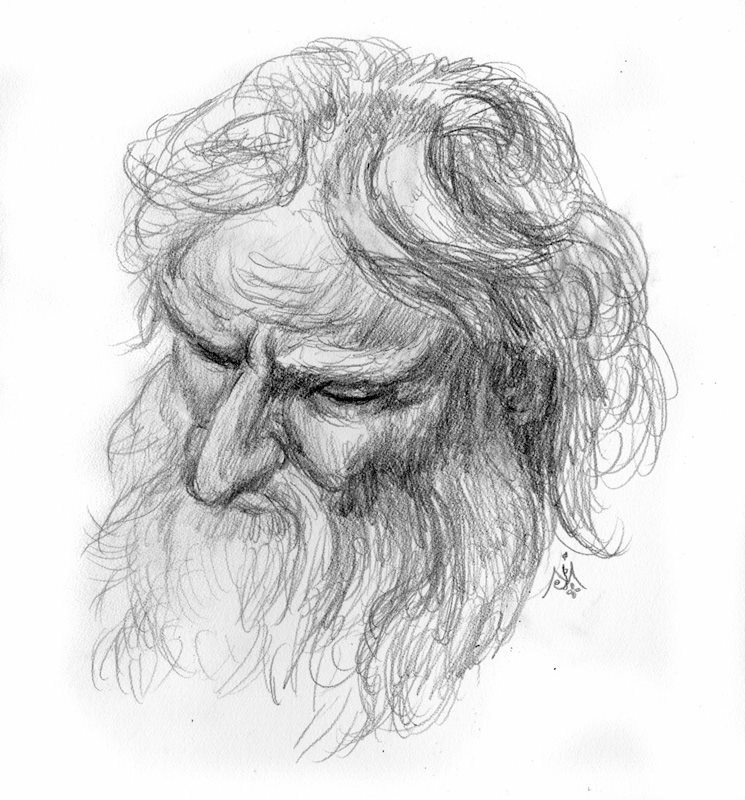 He was an older man, tall, thin, slightly stooped, and with a closely-cropped gray beard and thick hair. “May I help you?” he asked. Jill started to explain that she was having trouble sleeping, but the proprietor had been so kind that she soon found herself sitting at a small table, taking tea with the old gentleman. “You can call me Burn, if you’d like,” he had told her. “I’m very pleased to meet you Miss Shatten,” Burn said, pouring her some tea. Jill had left the shop later that morning with a tiny pinch of pearly-white powder wrapped in tissue paper; Burn had suggested she take some with warm milk just before bedtime. Whatever the powder contained, it had helped, and Jill became a regular visitor to the shop. Her discovery of the apothecary had happened just as Jill’s life took a turn for the worse. She had been dating an instructor in the Philosophy department for over three years, a handsome British man named Ian who taught existentialism and Marxism. But the relationship began to rend. Jill had always been attracted to intelligent men, but those in academic circles seemed never to have abandoned the profligate habits of their students; the result was that none seemed capable of committing to a long-term relationship. Even so, Jill seemed unable to avoid being attracted to them over and over again. She poured out her troubles to Andrea and to her new friend, Burn. The older man was a patient sounding board, and although he sometimes would suggest remedies that eased her nervous anxiety, it was his calm willingness to simply listen that meant the most to her. When the relationship with Ian completely crumbled, so did Jill. And although it took her some time, she was eventually able to confess the reason to Burn: Jill had become pregnant a few months after she started dating Ian, and at his insistence, she had aborted the child. She had felt that she was entirely justified in doing so; after all, she was a modern, liberated woman, and she knew that even Ian was not interested in marrying, at least not yet. “There’s always time to have children later,” she had assured herself. But with the loss of the child and of her relationship with Ian, Jill’s moorings shifted beneath her feet. She became less confident in her ability to judge herself, her friends, or the bigger world around her. Her insomnia continued, and although she had always prided herself on being independent and decisive, she became unsure of even her most basic assumptions about life. And behind all of this, like a faint shadow, was the image in her mind of a newborn child: the one whose life she had taken. In desperation, Jill sought a therapist and spent months discussing her anxieties and difficulties, only to be told that what she needed, no therapist could provide. “But what do I need? !” she had asked in exasperation. The apothecary was on her walk home from the therapist’s office, so Jill stopped in to see Burn. He offered her tea and listened to her tale. When she was done, he studied her closely for a few moments in silence. “No,” said Jill. “I don’t believe in any of that anymore, Burn. I mean, I was raised a Catholic, but none of what I learned growing up makes any sense to me now. “I mean, isn’t this all there is? !” Jill gestured angrily at the shelves filled with bottles, and at the sunlight outside the shop window. “We’re stuck here, all alone on this earth…aren’t we, Burn? Well, aren’t we? !” Burn did not respond. • A frame-able full-sized poster/print of my painting Home Again is now available in the Middle-earth Network Store ( http://store.mymiddleearth.com ). This is among the first offerings of the store, and the works of many talented artists, writers, musicians, actors, etc. will be featured there over time. Do take a look! • The Return of the Ring 2012 (see http://www.returnofthering.org/) will be a huge Tolkien-themed conference and gathering at Loughborough University on 16-20th August, 2012. Although I will not be able to attend in person, I am hoping to have some of my work included, either in publications in support of the event, or at the art show. Stay tuned for more details! Curse with your cliffhanger ending! Great story Jef.